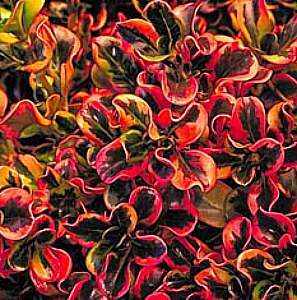 Description: Coprosma repens is a beautiful evergreen, compact bush with glossy, wavy leaves tat have green, pink and gold lives. Coprosma repens grows about 1m height and 1.3m width. Coprosma repens is very drought tolerant and also useful for growing in coastal areas as it will tolerate salt laden, strong winds. Coprosma repens is a useful (particularly suited for coastal conditions), eye catching plant that will do well in areas few other plants will tolerate. Coprosma repens is suitable for pruning to shape its appearance.